Any parent knows that one of your biggest jobs is being your child’s advocate. You can advocate for them in medical situations, school issues and even with social disputes. One of the most important parts of advocating for your child is trusting your gut. You know your child best and usually your gut will tell you when something is just not right. I think parents tend to discount this factor especially when it goes against what experts have to say. Sometimes we know what is better for our child, even more so than doctors. Doctors, teachers and other authority figures try to do what is best, but sometimes the subtleties of our kids can be lost on them. We as parents can see these things daily and know when something is wrong or just not working. You just have to trust your gut and speak up. It isn’t easy to do but if you have the strength it can be powerful for both you and your child. 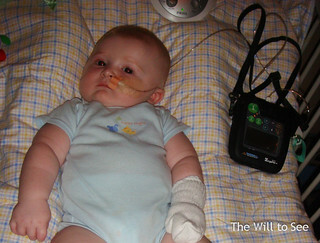 When Jack was a baby we as new parents didn’t understand the power of trusting your gut. I had a feeling that more was wrong in those early months, but didn’t know how to say it to the doctors in a way that made sense and not like a desperate mother. We eventually found out that there was more going on with him and I learned to trust my gut. Have you had to advocate for child in medical or other issues? Have you had to trust your gut?